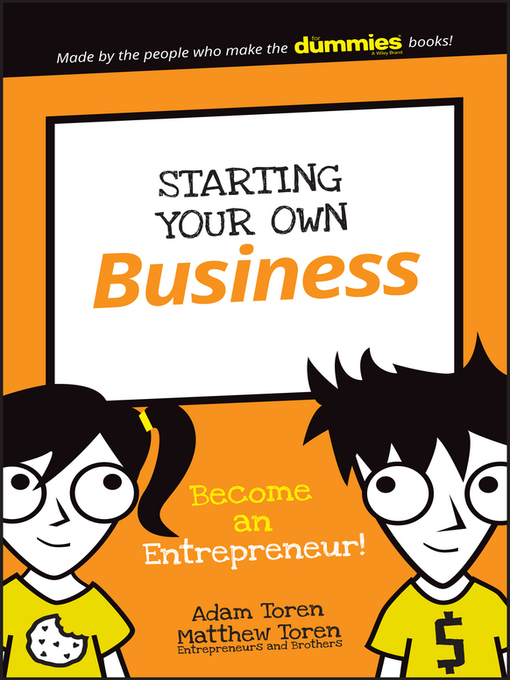 Do you have a budding entrepreneur on your hands who's anxious to bring the next great business idea to life? Make their dream come true with the accessible, expert help in Starting Your Own Business. Written with young learners in mind, this book walks your child through the steps that turn a bright idea into a profitable business. An extension of the trusted For Dummies brand, Starting Your Own Business speaks to juniors in a language they can understand, offering guidance and actionable plans to turn their business idea into a reality. From setting goals to putting together a plan that encourages others to help them get their idea off the ground, it offers everything kids need to get their business started and make it grow. Children are notorious for their huge imaginations. Now, their ideas can live in the real world—and translate to real profit—with the help of Starting Your Own Business.